One Rod Fits All. Or Does It? It’s well chronicled how Charles Mayer designed his metering rod machine in 1905 to control the application of coatings to paper. Back then, rods were wire-wound and designed primarily for wax applications. The beauty of Mayer’s rod coating machine was the simplicity of varying coating thickness by simply changing the size of the wire wrapped on the rod. Operators could achieve different target coat weights simply by swapping out different size rods. Fast forward to today’s advanced coating technology and it’s easy to see the critical importance of precision in metering rod design and manufacturing; as most rods are Rollformed (aka: Grooved, Threaded, Machined, etc.). Gone are the days when a rod is just a commodity, or “a rod is a rod is a rod.” In fact, rods are used in a variety of diverse applications, from applying starch to the surface of white and brown paper in paper mills to functional and color coatings on paper to highly sophisticated applications involving films and foils. Compared to other expensive and time-consuming methods to change coating volume, such as gravure, blade, roll over roll, knife over roll, slot die, and so on, rods are still the go-to method of choice, providing a pain-free ability to modify coat weights simply by changing the rod thread or wire size. Buschman rod sizes, for example, are linear. If you’re using a Buschman size 10 and you want 10% less volume, drop down to a Buschman size 9 and so on. That’s the beauty of rod coating. If you don’t like the coating volume, simply change the rod size either up or down to suit your target objectives. 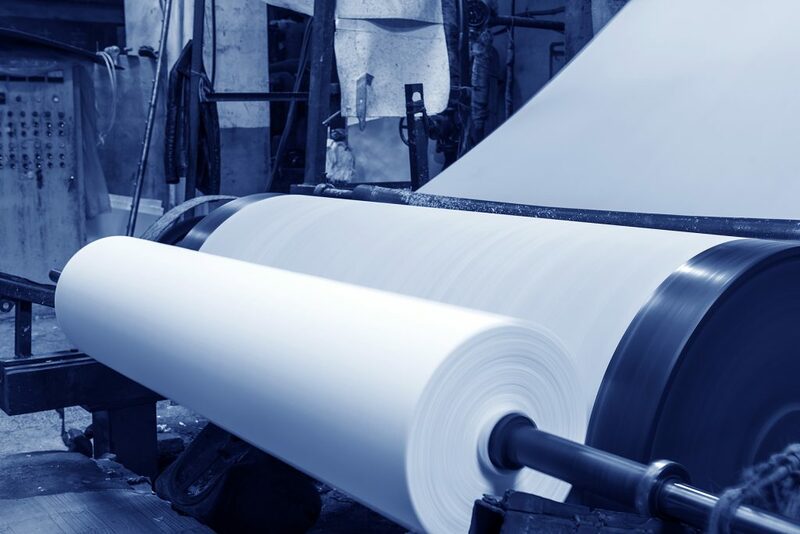 But in our experience helping paper companies around the world solve their unique coating challenges, dialing in all the application parameters to fit one rod size, rather than simply switching out the rod to suit the application, can lead to a plethora of costly problems. Converting – for a wide range of applications from adhesives to release coatings. Three of these four uses involve either a transfer roll or backing roll behind the substrate, both of which can easily exceed 10 times the cost of the replacement rods and rod holders (beds). Customers who go this route typically experience nothing but heartache and increased operating costs stemming from attempting to reduce coating volume by increasing pressure or tension. Accelerated wear on the metering rod: Take a Rod Metering Size Press for example. In order to reduce coating volume using one rod size, the operator must increase rod load pressure and/or tension. True, you can vary coating volume +/- 3% by varying pressures. However, by greatly increasing rod load pressure, you increase friction on the rod causing premature wear of the threads. Most Rod Metering Size Presses were engineered to function between 0.5-1 bar rod load pressure; I’ve seen many pressures as high as 2.5 bar, which puts undue stress on the rod and other parts. Break – When the axial force creates a twist that supersedes the tensile strength of the rod, the rod will break. Stall – Due to exceptionally high rod load pressure and/or tensions, the rod may stall. When a rod stalls, it usually creates a pattern in both CD (cross direction) and may be seen in MD (machine direction) where the rod stalls intermittently and then rotates again and then stalls and rotates again. Therefore, we see today’s metering rods are no longer a commodity, but rather a sophisticated and intricately designed method of coating a variety of substrates using precision accuracy, and all with the ease of modifying volume simply by changing the rod. My father used to tell me, “Son, if it sounds too good to be true it probably is.” “One rod fits all” sounds good but the approach is riddled with costly problems. So the next time you’re tempted to single suit your coating application, do yourself a favor and resist the urge to use one rod and keep the antacids on the shelf. Looking for more information about metering rods, rod holders, or coatings? Ask us! Buschman's experts are here to help. Contact us with your questions.